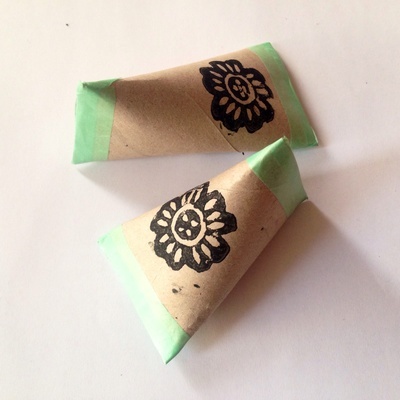 These pouches, made from recycled cardboard tubes, make quirky wrapping for little gifts. I kept some raw looking and simply added a black stamp and colourful washi tape. 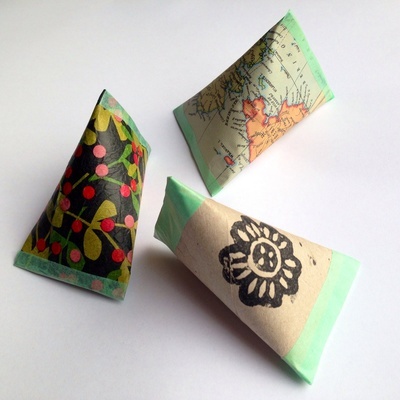 You can also try covering the tube with colourful tissue paper or other devorative paper. Decorated with Easter paper they would make a great alternative to plastic eggs for a Easter hunt. 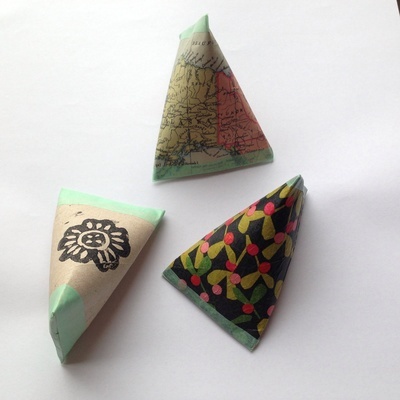 Try Christmas paper for some festive wrapping. 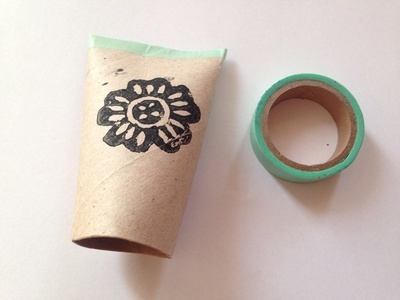 Rubber stamp and ink or decorative paper and glue stick. Cut the cardboard tube to the length you want. 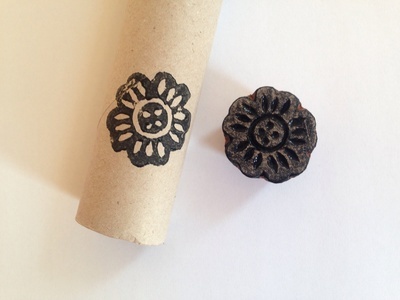 Stamp a design on the front using a rubber stamp. 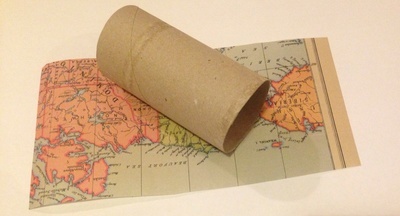 Alternatively try covering the cardboard tube with decorative tissue paper or gift wrap, using a glue stick. Squeeze one end closed and pinch the edges. 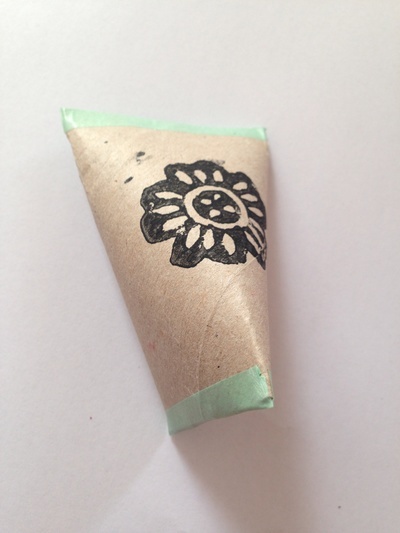 Apply washi tape along the closed edges to seal one end. Pop your gift inside the tube. Turn the tube on its side and squeeze the other end closed, making a twisted pyramid shape. 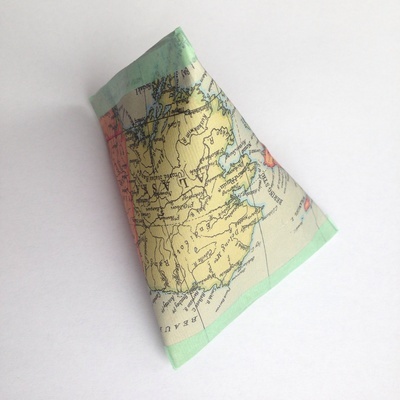 Pinch the edges and seal with a strip of washi tape.